Microscan releases new industrial imaging devices that enable barcode reading, inspection, gauging, measurement, guidance, and more, all on the world's smallest smart camera platform. Microscan launches all-new, world's smallest smart camera platform summer 2016. Microscan, a global manufacturer and pioneer of miniature devices for barcode reading and machine vision inspection, announces that it will release an all-new smart camera platform this summer. These devices will redefine industrial imaging as the foundation for automated quality control and guidance tasks based on visual data and offer machine vision and barcode reading on a single, omni-capable platform. Users will be able to choose device capabilities from Microscan’s range of hardware and software offerings to configure the optimal all-in-one system at a size and performance unrivalled in the market. Microscan’s 30-year legacy of innovation has contributed much to the history of auto ID and machine vision technology. Compact size, high performance, ease of use, and scalability have been the driving objectives of Microscan engineering. This focus has yielded revolutions in the mechanical design of scanners and cameras for small integration spaces. In 1982, Microscan miniaturized barcode reading devices with the invention of the world’s first laser diode barcode scanner, and then miniaturized codes with the invention of the high-capacity, scalable Data Matrix symbol in 1994. With the release of its new MicroHAWK® Barcode Readers in 2015, Microscan proved that size did not limit device capability, offering hundreds of possible configuration options (decoder type, lens, speed, sensor, and lighting) on the smallest industrial imaging platform available for integration into machines and instruments. MicroHAWK is accompanied by the WebLink user interface – the first barcode reader interface accessible via web browser – which greatly simplifies usability and accessibility of devices for barcode reading. World firsts in the evolution of machine vision technology can also be traced to Microscan’s history: the first graphical user interface for machine vision software (Itran, 1982), the first vision-guided robotics with integrated machine vision (Automatix, 1983), and the first PC-based machine vision system (Automatix, 1987), all of which established a foundation for modern vision systems. In 2011, Microscan launched the AutoVISION® product suite, representing the convergence of the company’s barcode and machine vision legacies on one camera platform. This platform introduced the concept of “Auto ID+”, which is a technology capable of barcode reading plus simple machine vision tasks such as counting, measurement, presence/absence, and Optical Character Recognition (OCR). With image capture and analysis as the foundation for the majority of today’s barcode reading and machine vision applications, Microscan engineers have looked to the company’s existing camera platforms to develop the next all-in-one smart devices. This summer, Microscan will leverage its legacy of miniaturization, its leadership in high-performance decoding and inspection tools, the configurability of the MicroHAWK Barcode Reader platform, and the simplicity of the AutoVISION and WebLink user interfaces to launch the future of smart camera technology with a single, scalable camera suite. As the world’s smallest smart cameras, these devices will offer unlimited application potential in Microscan’s trademark miniature design with an array of hardware configurations and user-friendly software environments. Users will have the freedom to select device hardware – including integrated lighting, high-performance X-mode decoding, sensor options, industrial IP-rated sealing, liquid lens autofocus, and Ethernet connectivity – without increasing the camera’s physical footprint. The cameras will also provide software options for barcode reading, Auto ID+, or complete machine vision, enabling a range of applications from basic to complex. This architecture will consolidate equipment, integration space, and operation for barcode reading and machine vision applications, reducing the time and cost required to source, install, and learn the industry’s most powerful tools. The result will be one incredible platform capable of both auto ID and machine vision technology with a common form factor, performance level, and user experience. 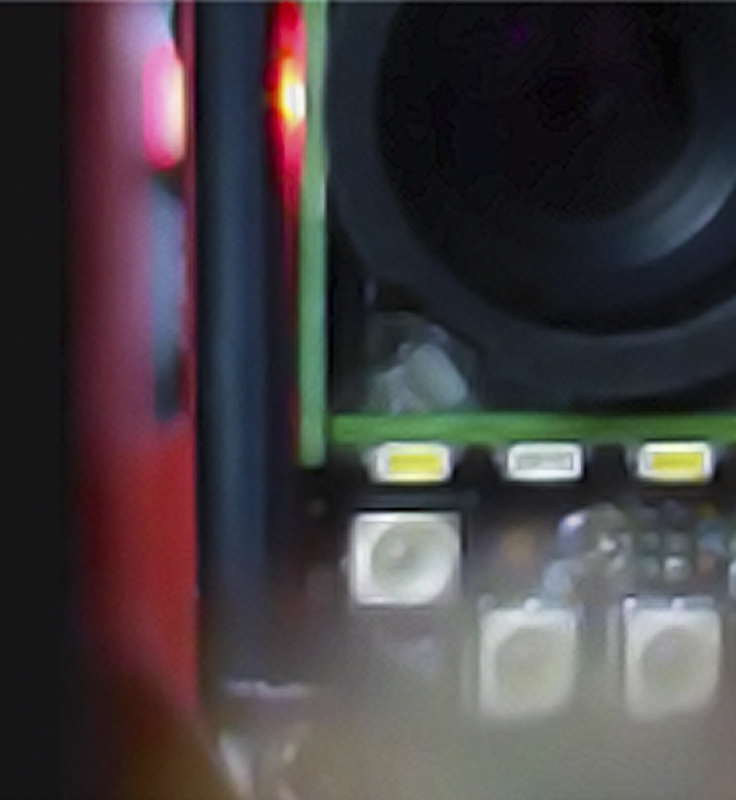 To be the first to know when Microscan’s new smart cameras are launched to market, sign up to receive a notification on the product release date at http://www.microscan.com. As an ISO 9001:2008-certified company recognized for quality leadership in the U.S., Microscan is known and trusted by customers worldwide as a provider of quality, high precision products. Microscan is a part of Spectris plc, the productivity-enhancing instrumentation and controls company. Microscan launches all-new, world's smallest smart camera platform summer 2016. Microscan releases world's smallest, most capable smart camera platform summer 2016.